Most booster shots, including rabies, may be inadvisable. 2016 vaccine protocol released by top veterinary universities protects your pets AND family! It began in 1998 and by February 2002 TheDogPlace.org Vaccines Project had forced veterinary associations to admit that most vaccines are non-essential except to the pharmaceutical companies bottom line. Project Vaccines brought about new vaccine protocol,and informed the public about duration of efficacy and defined non-core (optional) immunizations. So in 2016 we asked a simple question; do puppy shots protect for life as do childhood vaccinations? Since the early 1990s numerous scientific papers have been published on the dangers and ineffectiveness of certain human vaccines. Even so, many people still take flu shots every year. That's their business but it is our duty to inform dog owners of the risks when they subject their pets to yearly booster shots, including of all things, canine flu. Canine flu erupted in 2005 (see below) and has remained a hot topic ever since TheDogPress.com broke the story of its possible origin at UNF during the Florida dog show circuit. The largest print and TV advertiser is the pharmaceutical industry so we can not expect to learn about vaccines in mainstream media. But the fact is, when it comes to animal vaccines, the practice-sustaining yearly booster shots put your dog at serious risk. Many states required a yearly rabies shot but this website promoted The Rabies Challenge Fund. The result it that little by little, states are changing rabies vaccine regulations. Beware though because there are still some unscrupulous veterinarians who will actually give a yearly rabies shot "booster". Prior to the internet, this writer informed dog owners about vaccines through seminars and magazine columns. When TheDogPlace.org was launched in 1998 and we were able to reach thousands of dog owners instead of hundreds, our first major section wasProject: Vaccines. That brought thinly veiled threats from the pharmaceutical companies, including suggestions that criticism of veterinary products could shorten a writer’s career. Interesting. We decided to call their bluff. 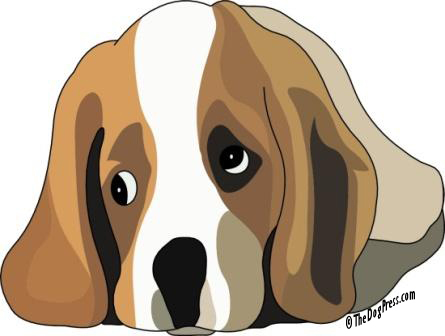 Heady with success, TheDogPlace launched Project: Inserts, demanding patient (owner) information in veterinary prescriptions. When Pfizer announced new “prescription inserts policies” within two weeks, they quoted word-for-word our webmaster's introduction to that project! Poor Pfizer, they paid a lazy PR firm. Serves them right. Joined by other websites, TheDogPlace continued to report vaccine information and finally, in 2006, the veterinary associations (AAHA & AVMA) capitulated by issuing a release defining "Core Vaccines." 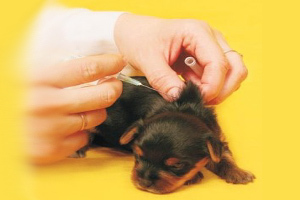 "Core vaccines are recommended for all puppies and dogs with an unknown vaccination history. The diseases involved have significant morbidity and mortality and are widely distributed, and in general, vaccination results in relatively good protection from disease. Core vaccines: canine parvovirus (CPV), canine distemper virus (CDV), canine adenovirus (CAV), and rabies." With no disrespect to the veterinary university, click this for instant information on Vaccine Induced Disease, a growing phenomenon. To make it appear that there was never a cover-up, everyone saved face by pretending the new definitions were voluntary and it had only been a matter of semantics all along. Sure, like the difference between protecting canine health or preserving the financial health of pharmaceutical companies and veterinary practices? Philip Mansfield, DVM an Associate Professor at the highly prestigious College of Veterinary Medicine at Auburn (Alabama) University described vaccines as being of two types: core and non-core. Core vaccines are vital in the prevention of parvo, distemper, and rabies. Notably, rabies is rarely diagnosed in domestic animals but rabies vaccine is necessary to protect the human population from the risk of transmission from wild animal to family pet to family member. That outspoken veterinarian also mentions that core vaccines may provide long immunity (like polio, diphtheria and other childhood shots) and that studies are being conducted to determine how frequently we should re-vaccinate adult dogs. That was in 2001. Non-core vaccines are those that in my opinion, are ineffective, unnecessary, or considered not worth the risk to the animal or the veterinary practice. A side note on Lyme disease; one pharmaceutical giant accused another of having Canine Lyme vaccine on the shelf before the disease had even been "diagnosed" in the canine. Think about this. In both human and veterinary medicine, it is the veterinarian, doctor, or pharmaceutical company whose diagnostic opinion is considered "expert." Unfortunately animals can't talk or there would be a lot more lawsuits. When a dog develops the disease for which he was vaccinated, we’re told it was because of that timeless window when his mother’s immunity wore off or that it was because we gave our own shots and don’t know how, or that the dog’s immune system was weak. Most veterinarians can’t actually explain what went wrong with the dog’s immune system so vaccine breakthroughs are blamed on genetics (a weak immune system) which of course, means the breeder is to blame. Titer tests are now available to measure distemper and parvo antibody. That's good but let’s face it, most owners would as soon vaccinate as pay for the tests. Titer tests are expensive and cost isn’t likely to go down since demand would have to offset the significant income lost from administering unnecessary vaccines. What a tangled web we weave. "Shot in the foot" is the way this writer would characterize the veterinary professionals who refused to do their own research on which vaccines are really core to canine health and puppy mortality. When it comes to non-core vaccines, relying on drug salesmen has made good vets look bad. UPDATED Puppy Shots Schedule, courtesy AVMA American Veterinary Medical Assoc. 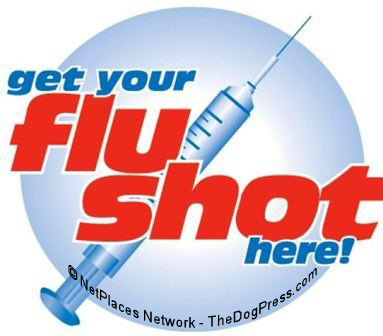 Canine flu history circa 2005 - - Project: Vaccines -- Project: DogMeds Inserts -- Lyme Exposed 2016! Vaccines cause thousands of deaths and risk of Guillain-Barre syndrome. core vs. non-core vaccines, puppy shot boosters, by Vargus, DVM. 2015 media blitz urged adults to get revaccinated with measles vaccine.